RM introduces the first touch-based handheld tablet designed for K-12 that runs on Windows. The RM Slate is a revolutionary tablet that uses Windows 7 so you can run Microsoft Office and most other applications written for personal computers without the need for additional technology training. It is light (2 lbs.) and compact (1/2" thick), but with a large screen (over 11"). With the multi-touch screen, pen stylus, and handwriting recognition, it is easy for users to input and manipulate data, notes, ideas and more. The RM Slate combines the flexibility of a handheld pad, the power of a laptop computer, and an attractive price for any school budget. Windows 7 Utilize any application that you would run on your Windows computer. 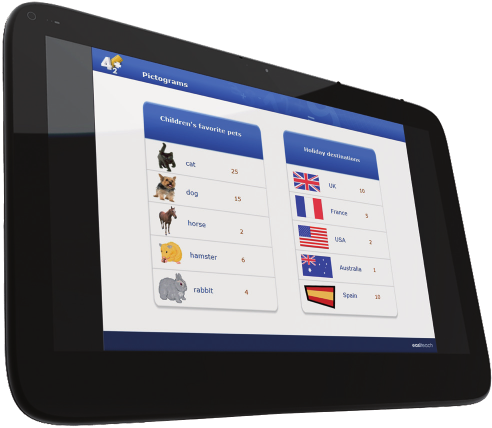 The RM Slate is available with RM Easiteach™ NextGeneration and RM Podium 2.0.